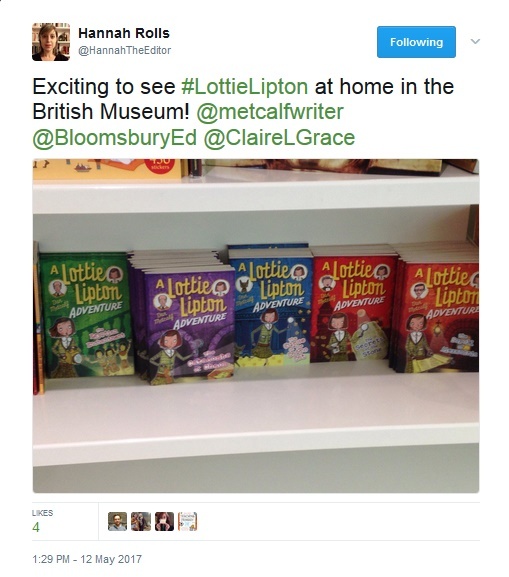 Lottie Lipton is now in the British Museum Shop! Heading to the British Museum? Grab a copy of my Lottie Lipton Adventures while you are there! Perfect for souvenirs, as Lottie lives in the museum itself and gets into lots of scrapes with the exhibits. The books are educational too, containing facts, puzzles and codes. Collect all six! ‹ Lottie goes to Poland!